"The moment before I jump is filled with anxiety and what-ifs. But then as soon as I enter the air, I'm filled with this calmness and that's the main attraction to it." There is a fine line between aimlessness and purpose when it comes to good traveling. 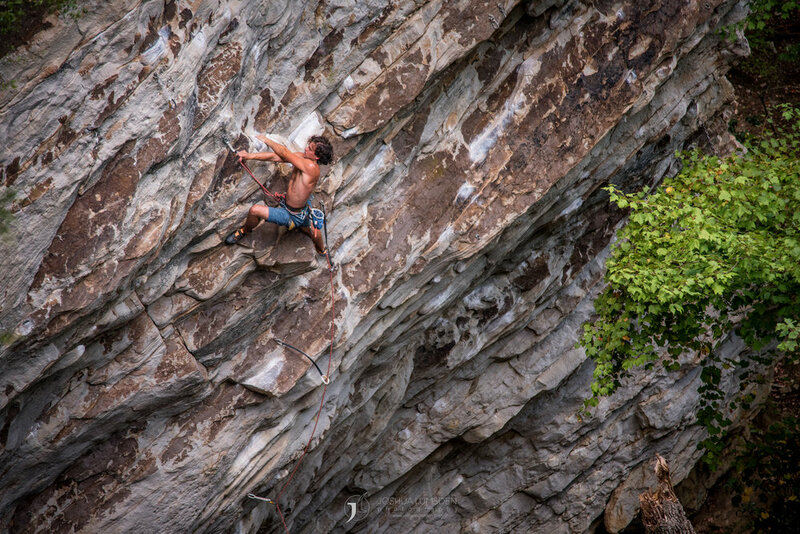 Good friend and training partner Billy "Savage" Porter III rocks a crimpy sport route Shackled (5.13b) at the Little River Canyon. I attribute most of my climbing skills to this choss aficionado. Climbing with Dian is never boring or predictable. The dude has the strength of a full grown chimpanzee and the diet of well, a full grown chimpanzee. Always good to have a kinesthesiologist in the group.